It's an open carry campus, so bring on the fun! Chuck "It's Not My Job To Fact Check My Guests" Todd strikes again. Heads Up! No, Down! Hell, I Dunno. Put Your Head Somewhere! The gun-freaks in Texas have a charming and delightful idea right here before celebrating the birth of the Prince of Peace. The bicyclist shot in Colorado Springs served three tours in Iraq. It will not surprise you, but it should make you angry. Noah Harpman, age 33, is alleged to have shot three people dead in Colorado Springs Saturday. 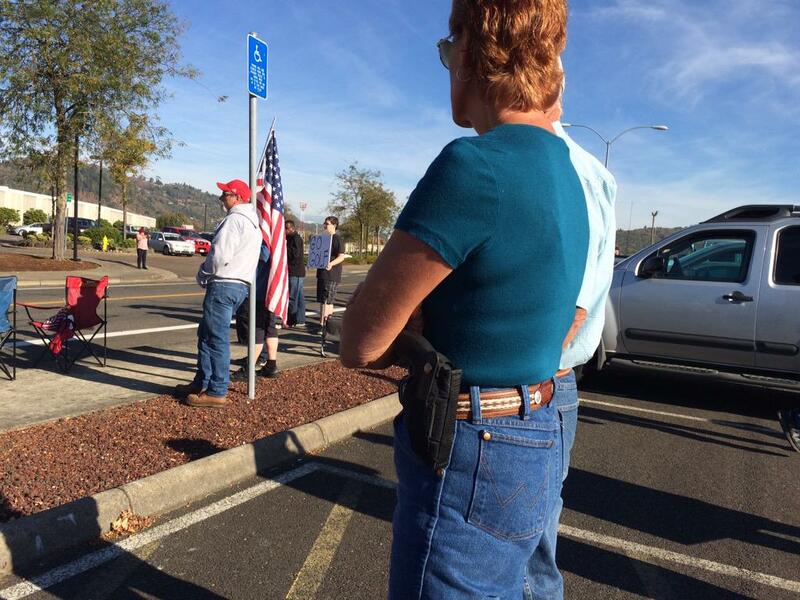 Some Roseburg residents aren't happy about the President's proposals for responsible gun ownership. Y’all, Greg Abbott ain’t exactly gubernatorial material. These are the real "outside agitators."